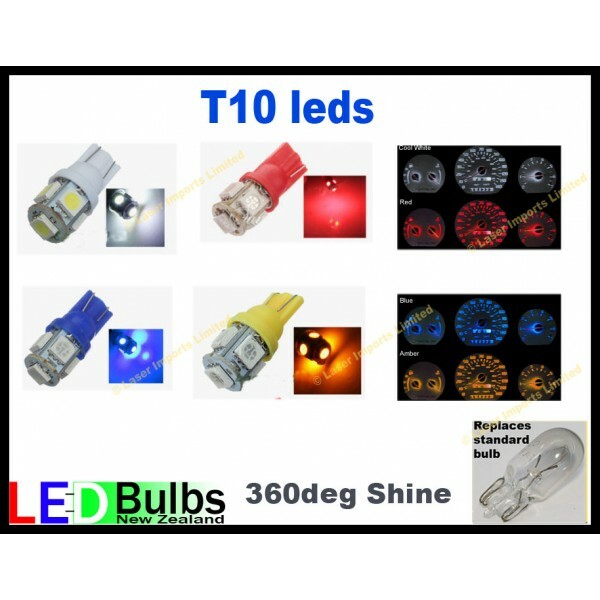 These LED lights are a direct replacement for side/front indicator bulbs, park lights, number plate lights with a 9mm ( t10, T9 5w5 ) Wedge base. T10, T9, 5w5, 194, 158, 168, 147, 152, 158, 159, 901, 904, 912, 916, 917, 161, 184 192 193 918 920 921 922 923 926 927 and more. They look great next to the H1, H4 , H7 super white xenon, hid lights. 100% road safe and legal.